The S7 Edge is officially the world’s longest lasting smartphone in the world. This test also proves Samsung’s Exynos 8890 processor is much more efficient than Snapdragon 820 processor, probably due to the fact that the Exynos is an octa-core processor (that can switch to lower 4 cores for lower-processes) versus Snapdragon 820’s quad-core. And it’s not surprising that even though Huawei Mate 8 has 4,000mAh battery, it comes nowhere close to the Samsung Galaxy S7 Edge. This is mainly due to more efficient processors and displays on the Samsung phones. The AMOLED screens use far much less energy to produce same amount of brightness in comparison to any LCD technology out there today, which equals much longer battery life. 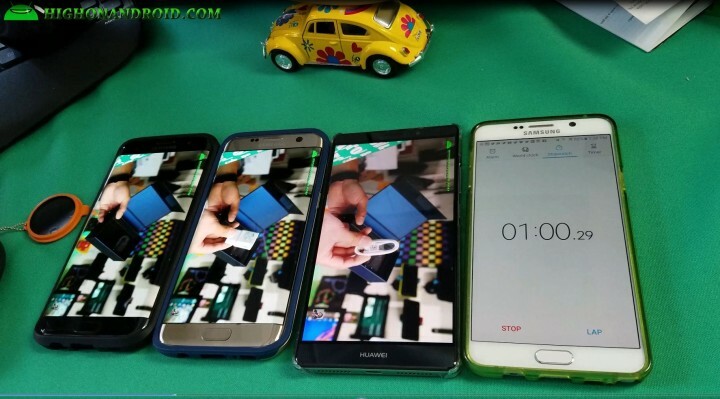 This test proves battery capacity isn’t everything and it’s amazing that a phone with 1440P screen and smaller battery outlasts a phone with 1080P screen and much bigger battery. For SOT times for all the smartphone we have tested here and in the past, go here. Previous story Samsung Official Galaxy S7 & S7 Edge S-View Flip and LED Wallet Cover!